Social network is aging. What’s next? Hi. Nice meeting you. I'm a student of Master's "New Media & Digital culture" at university of Amsterdam coming from the background of literature studies. I've been working as a journalist reporting daily news both, writing articles and making video reports. As well was involved into the the routine of post-production film / advertisement company located in Amsterdam. Decided to study New Media cause it's been my wish since three/four years and, don't tell anyone, a dream to be a professor since I was a teenager. Don't know if it will happen but am happy to come back to academic environment. P.S. I love dancing lindyhop. Join me whenever! We’re hopelessly addicted to social platforms as if it would be still revolutionary in our lives but is anyone thinking about it to be aging? People start getting bored with social networks because it does change in the way we didn’t expect. Social platforms that seemed to be booming not such a long time ago are getting out of date already. Is it possible for a social network to age? “I’m 13 and none of my friends use Facebook,” says a teen living in New York. “What? !” I thought after reading the headline of the article a month ago. Since then had flashbacks to the text every time after thinking about the future of media, especially that I was on the way to start my Master’s of “New Media & Digital culture” so I was rising such topics in my head more often. What’s the message of this article? Does it mean we’re getting into new era? After my research found out that though Facebook is still most popular social network among teens, their enthusiasm for using it is decreasing, according to new findings from Pew Research Center. 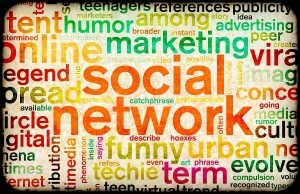 This social network used to be in the center of social interaction but according to the statistics, it’s on the decline. 34 percent of Facebook users say the time they spend on the site has decreased over the past year with only 3 percent saying they will spend more time on the site this year. Overall, Social Media usage is likely to increase to around 50 percent by the end of 2013 but which social platforms will attract the users since Facebook is becoming an outsider? “Part of the reason Facebook is losing my generation’s attention is the fact that there are other networks now. When I was 10, I wasn’t old enough to have a Facebook. But a magical thing called Instagram had just come out … and our parents had no idea there was an age limit. Rapidly, all my friends got Instagrams,” says 13 year-old New Yorker. Attraction to other social networking platforms like Instagram, Tumblr, Pinterest (Pinterest is now driving more traffic than Google+, YouTube, and LinkedIn combined), Twitter, Spotify, Vine etc. is not the only reason. 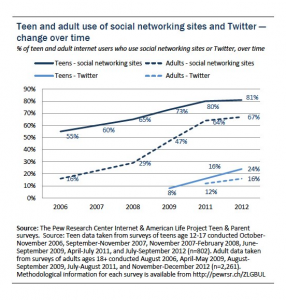 According to the research Teens haven’t abandoned Facebook yet but it won’t take long. “Everyone’s saying Facebook’s dead,” report says. 77 percent of online teens (ages 12-17) surveyed use Facebook but their enthusiasm is vanishing. One of the negative reasons that’s reported is increasing adult presence – teens don’t like the fact that parents are joining Facebook – or feeling overwhelmed by friends who share too much, or advertisements as well. From being very personal and sharing interests just with friends networking became a way of successfully building a brand. These grievances may be why teens seem to be getting more excited about other social networks. The best explanation I’ve read comes from psychologist Dr. Brent Coker, who writes that people’s expectations are just changing. Dr. Bent Coker says that the original idea of Facebook was to enable users to share visual content, but somehow the focus turned towards typed communication. Using Pinterest, a pinboard-style photo-sharing website, users can experience the “pristine pleasure of positive simulation”. According to psychologist, watching a movie – moving images – is associated more with pleasure than an hour of concentration for completing an exam. Humans naturally value simplicity over complexity – visual provides higher level of positive stimulation than concentration to scientific material. Positive stimulation through images is just easier to access. So what does this mean for the future of Social Media? That we are moving towards a far more commercial looking experience online than ever before. Images are very easy tools for marketing to use so the level of commercialization will increase. Maybe that will make teens to run away from Facebook even faster. In conclusion, making this research what I’ve realized is that future generation, that’s 10-15 years younger than I am, and hasn’t been addicted to Facebook yet, are already having different social networking experience than myself (jealous!). Their social lives might be entirely new age soon! In the video below about the future of social media Jonathan Strickland is inviting to imagine the future. He’s asking how the social interaction is changing and where next generation’s social life is turning to. The speaker is inviting to imagine walking into museum with smart glasses. 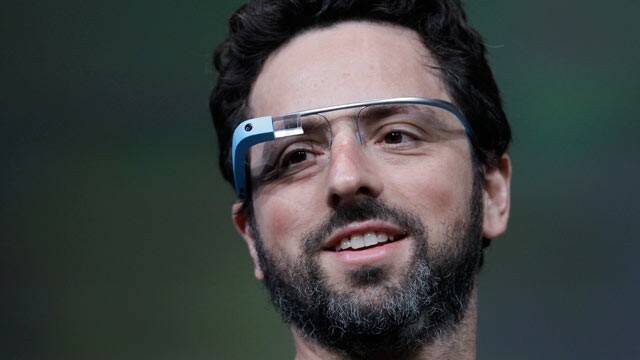 By the way, have you tried smart glasses yet? Me not. But that might be in a wish list for Christmas of a 13 year-old. Imagine how the world will turn when more and more teens will start using it. Facebook is old school. The new age social networking will just begin.